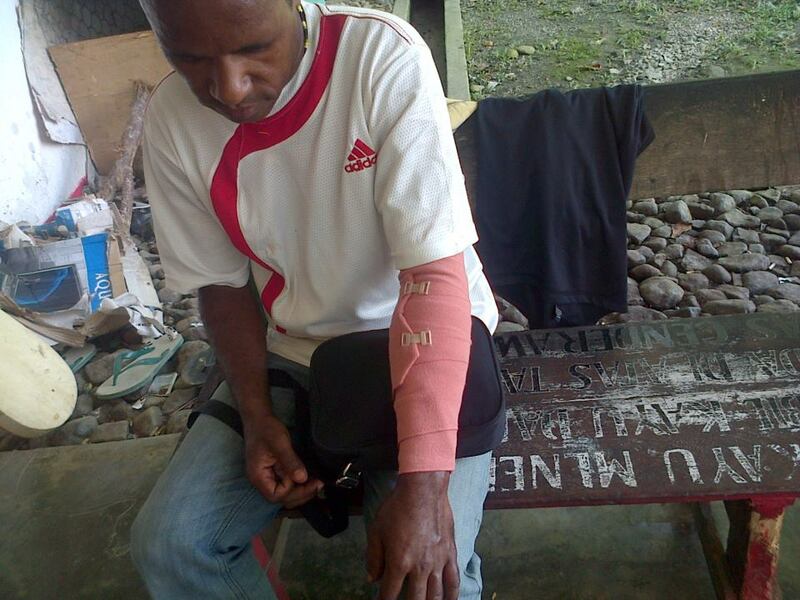 Papua, Jayapura – A member of the West Papua National Committee (KNPB), Mark Giban (19), student at Cenderwasih University (Uncen) reportedly suffered a broken arm after being arrested and tortured by Jayapura City Police, at National Housing Authority 3, Abepura, Jayapura, Monday (13/5/2013) afternoon. “There has been massive persecution against KNBP activists. This is extremely excessive, some others are still detained at Papua Police Regional Command, and Giban has suffered a broken arm and must be treated at Abepura Regional District Hospital (RSUD)”, said the Chairman of the National Parliament of West Papua (PNWP), Bucthar Tabuni when contacted by suarapapua.com, this afternoon. As well as the arrest and torture of Giban, several KNBP activists, including the Head of the KNPB, Victor F Yeimo, suffered the same fate. 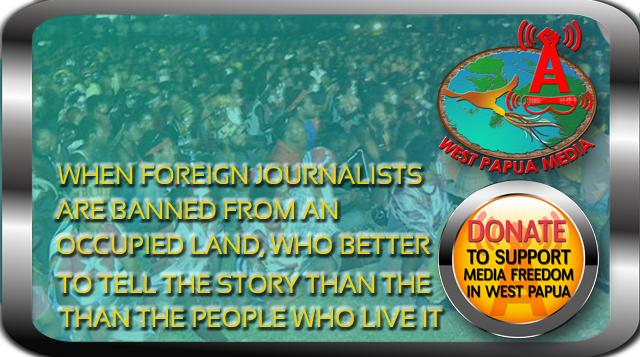 They are currently being detained at Papua Police Regional Command and are being interrogated by police. Bucthar added, the full report of the torture, arrest and beatings suffered by the KNPB activists, as well as several other mass actions on May 13, 2013, will be published in full. “Friends are currently compiling the full report, we will later publish for the media, just wait”, said Tabuni from Jayapura, Papua. Papua Police Public Relations, Adjunct Senionr Commissioner 1 Gede Sumerta, S. lk when contacted reported that confimed reports from the field had not yet been received. “Wait, I need to check first”, wrote the Commisioner of Public Relations briefly via mobile phone to the media. Previously, as reported by this media (read: Jayapura, four Papuan Activists back in Police detention), police again arrested four Papuan activists outside the taxi rank at National Housing Commission 3, not far from the Cenderwasih University Campus, Papua. The four people arrested are: student Yongky Ulimpa (23), student Ely Kobak (17), Manggaprouw Marten (30) activist of the West Papuan National Authority (WPNA) and Victor F Yeimo (30), Chariman of the West Papua National Committee (KNPB).